Beginning a new adventure is both an exciting and nerve-wracking time but knowing you’re armed with the right tools can make it a great experience. 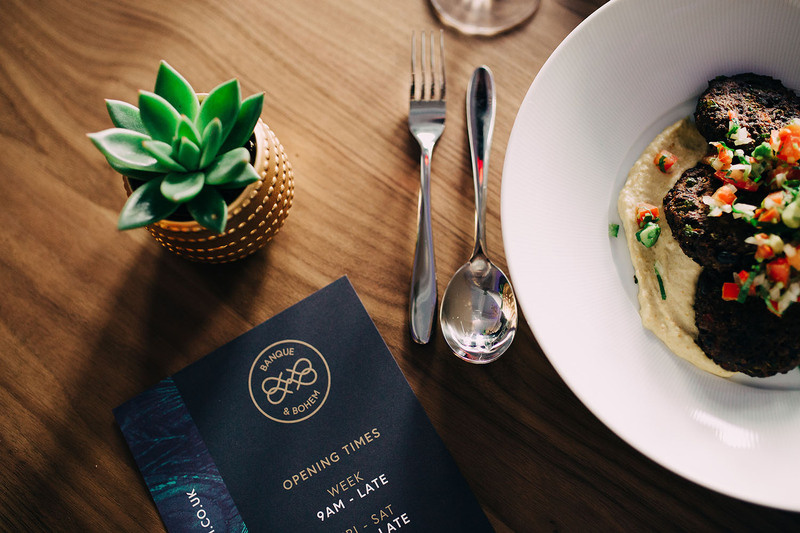 New restaurant, Banque & Bohem were opening up in the centre of Bournemouth and Global were tasked with helping to shape the entire look and feel of the brand, developing a complete visual identity in the process. Embrace the possibilities of a new adventure. 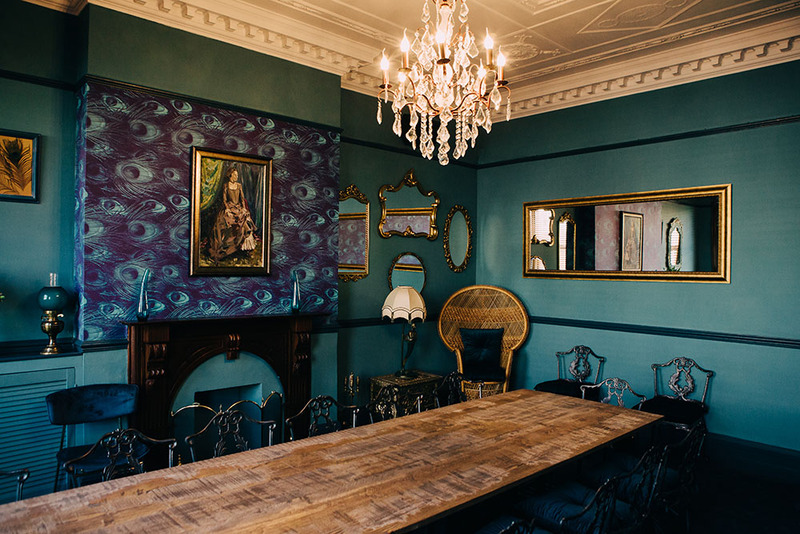 The restaurant, set in a beautiful historic building that had been lovingly restored to its former glory by a passionate team of hospitality entrepreneurs, marked the start of a new and exciting journey. With a lot of competition in Bournemouth, the Banque & Bohem team knew they had to make a real impact with the style and design of the venue. 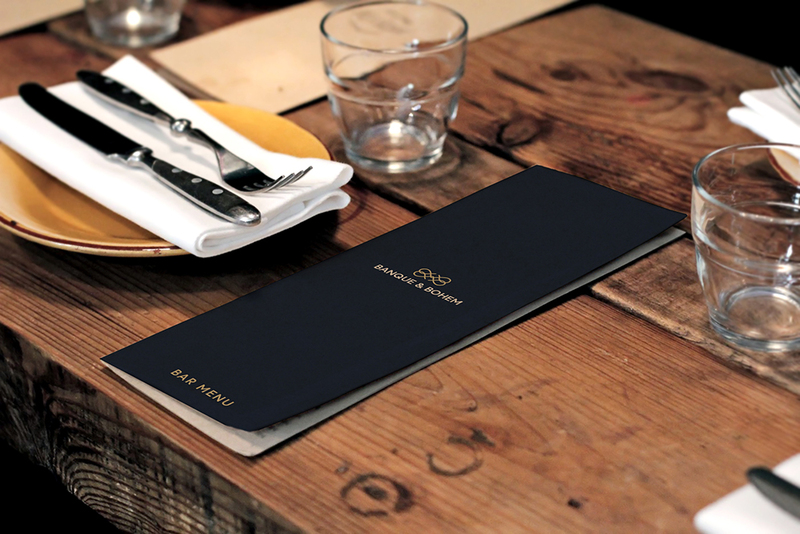 So, the challenge we had was to create a visual identity that captured the personality of this fusion restaurant, whilst creating a look that would capture the attention of customers in a highly competitive marketplace. Design for the discerning customer. 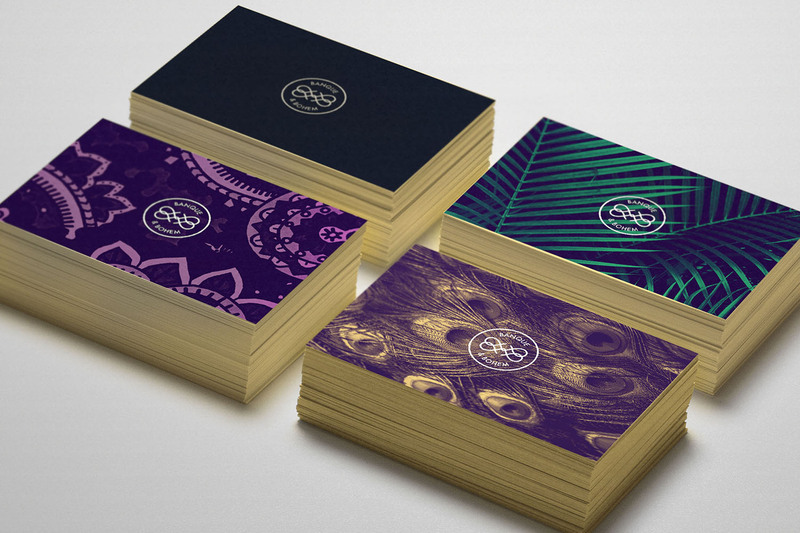 Located in an emerging new nightspot that catered for a more sophisticated and discerning market, it was important to create a brand that had a distinct high-end look. Banque & Bohem were looking to position themselves as somewhere special, where one can relax, work and party in elegant style. The colours selected for the core visual identity – ink blue and gold – help to evoke that sense of luxury and sophistication. 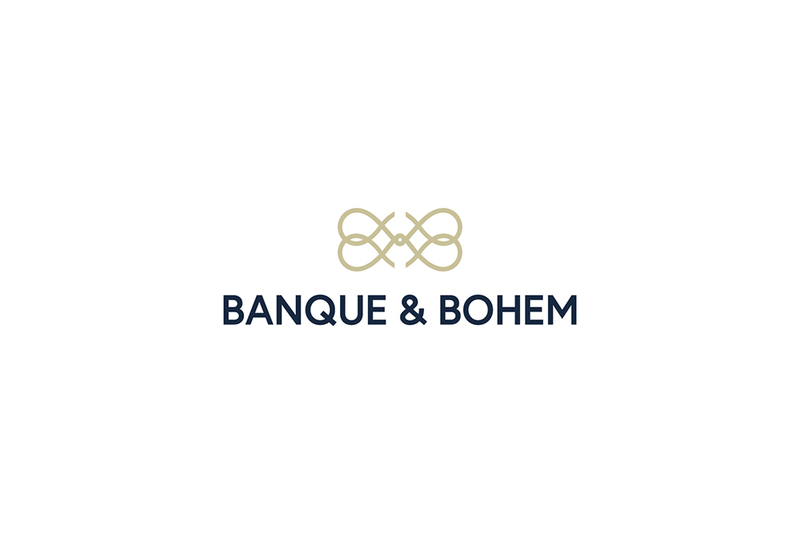 Whilst the deco inspired logo communicates the elegant style of Banque & Bohem. Global were fully involved in the process from concept to production of both the internal and external branding, which included signage and window graphics, as well as printed collateral such as menus. 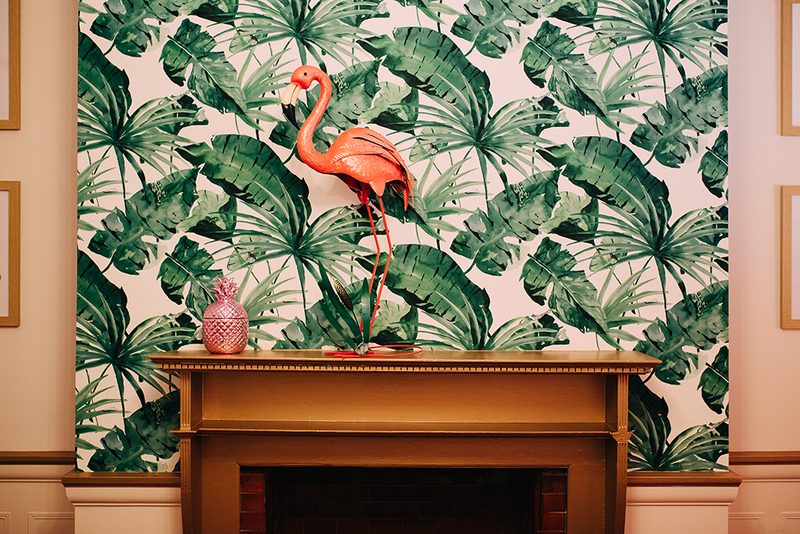 Global also designed decorative environmental aspects, such as the bespoke wall coverings which feature throughout the main restaurant and in the private dining rooms. Adventures are best when combining different skills and expertise. So, Global worked alongside ENLIVEN who brought the designs to life within the restaurant environment, producing and installing all external signage, vinyl window signage and bespoke wallpaper.